Pumpkin family Toland decorative display flags will add color and style to your home and garden. 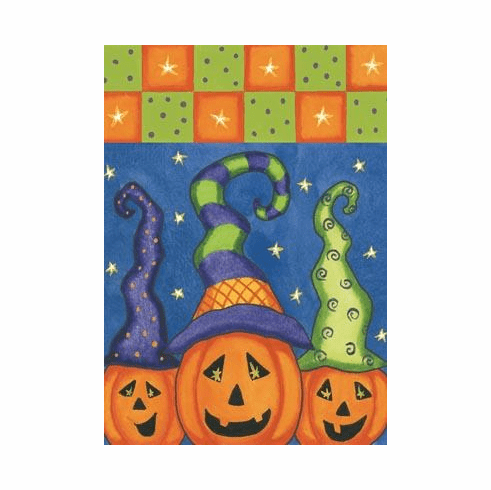 Halloween Pumpkin decorative Flag measures 28 x 40 in. Permanently dyed 100% poly so there's never a problem of rot or mildew or fading. Set these decorative flags in the garden or display from one of our flagpoles. Be sure and check out our Garden & Flagpoles and accessories.